I'm happy to tell you that you won our award, I realy like your site. 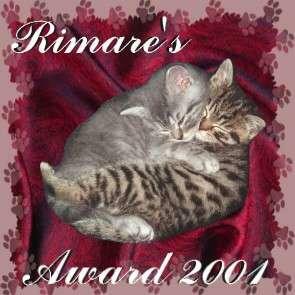 The cats of Rimare want to give you this award. 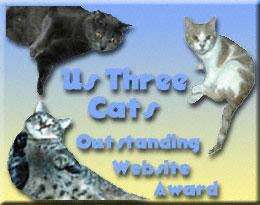 This award is given to breeders who do active hands-on rescue of their breed or strays and whose catteries are listed on The Feline Rescue Network. We are very proud to place it on our site. We loved your site & have attached the award for you..